RCF AC Cover SUB 8004 Black High quality and strong nylon coating for active SUB 8004-AS from series SUB Along Zipper. The coating is made exactly to the dimensions of the system and is equipped with a cutout for RCF holders and logo on the front. It protects the subwoofer from mechanical damages. 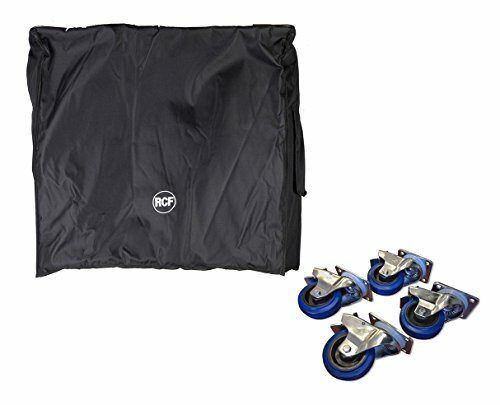 The RCF AC-4CASTER-SET-LOCK is a set of (4) heavy-duty 4" blue-wheel, roller-bearing locking casters for use with RCF subwoofers.